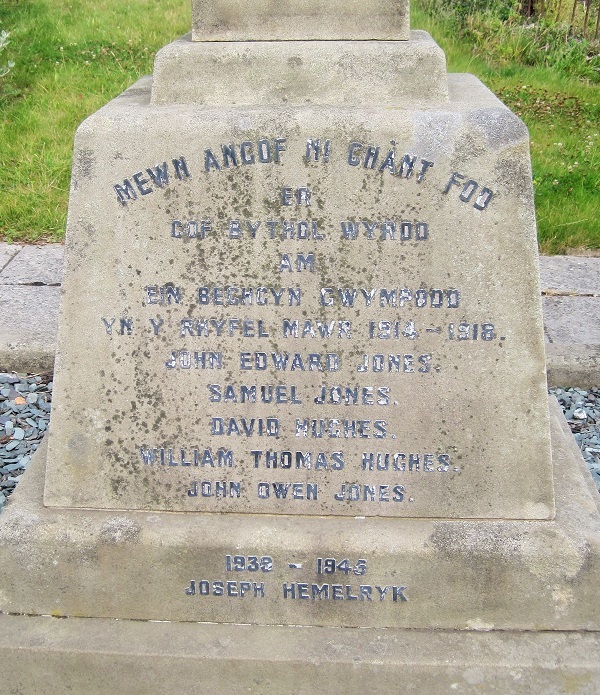 As well as the war memorial other acts of commemoration took place in Trelawnyd. 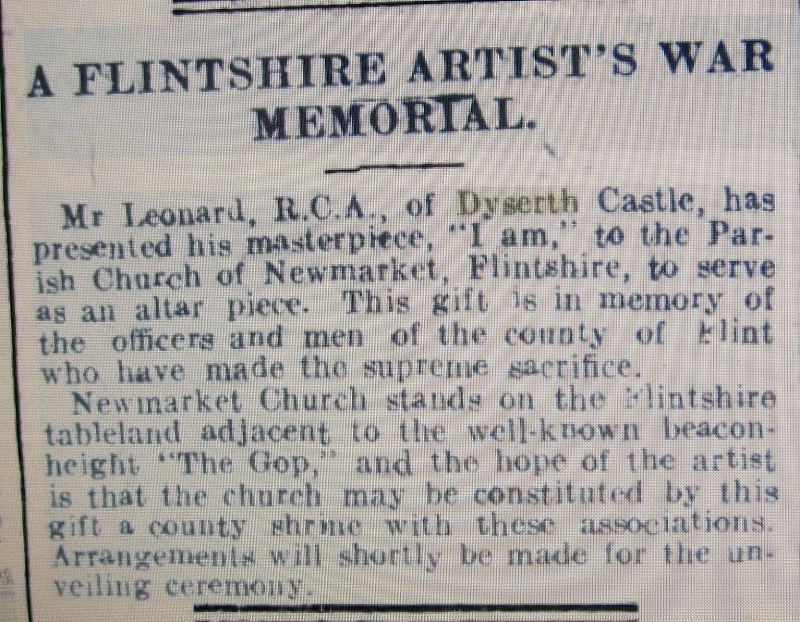 Llangollen Advertiser Denbighshire Meirioneth and North Wales Journal, 19 April 1918. 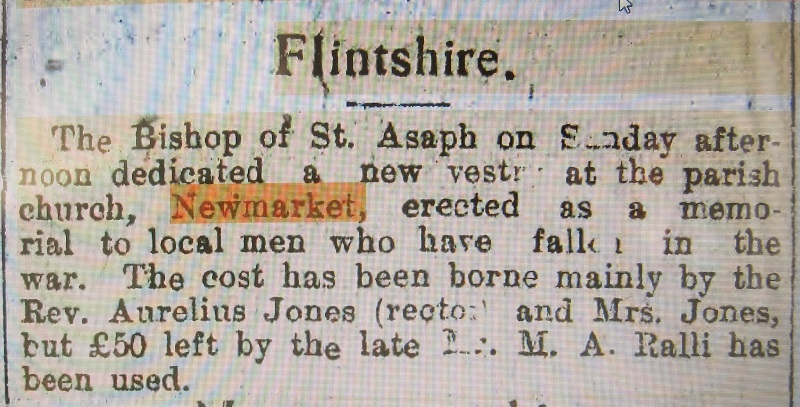 A vestry was built outside the North Door of the Church, the gift of the then Rector, the Rev’d S. Aurelius Jones. 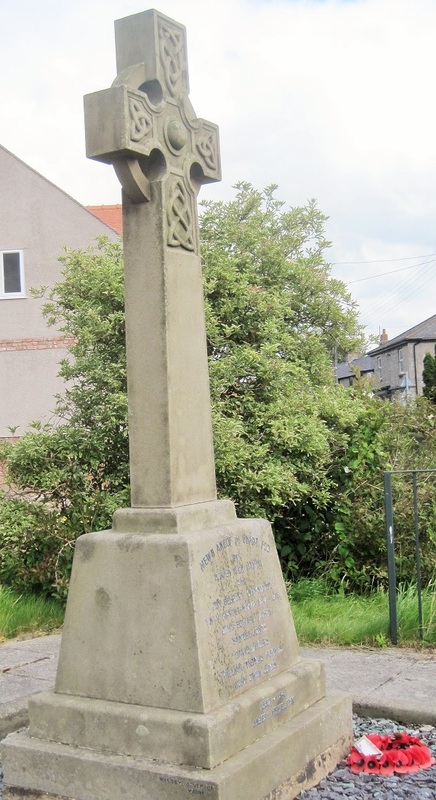 It was built as a memorial to those from the villlage who died in the First World War. 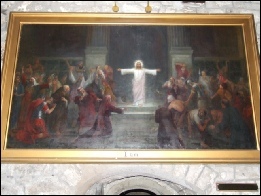 The Rector had been heavily involved in supporting families throughout the war. Two members of his family served in the armed forces – George D Jones was a chaplain in the Royal Air Force and David J C Jones, the Rector’s brother, was a Lieutenant with the King’s African Rifles. The Rector gave the Newmarket Rectory as their address . 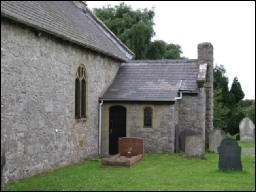 The vestry was dedicated by the Bishop of St Asaph, the Rt Rev’d Alfred George Edwards, later to become the first Archbishop of Wales.